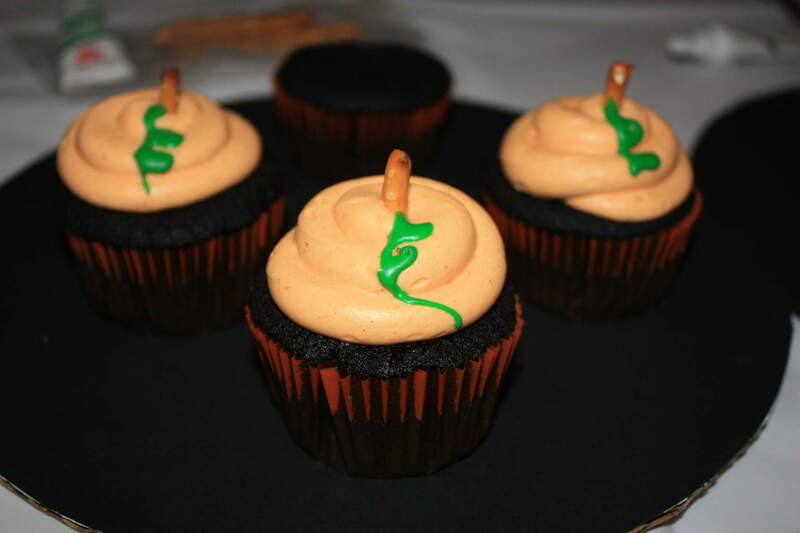 It’s Halloween… so yeah, I’m making Black Velvet cupcakes. 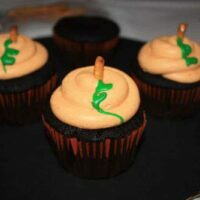 Are they any different from red velvet, white velvet or green velvet… not really, but they sure are spookier! 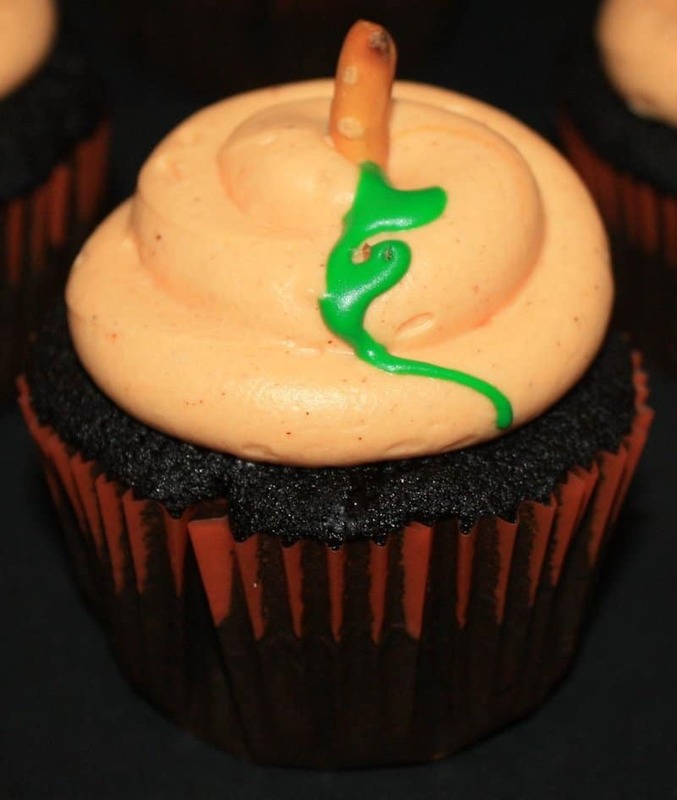 This Black Velvet Cupcakes Pumpkin Tutorial will make your next Halloween party super sweet! Attach the large round tip to your pastry bag and fill with orange frosting. Pipe a tall/wide mound of frosting onto your cupcake. Break a pretzel stick in half and place in the top of the frosting until about 2/3 cm is showing. With the green decorators icing, pipe on the vine in a curly q pattern. Beat the powdered sugar, cinnamon, and butter together in the bowl of a stand mixer fit with a paddle attachment. Mix on medium-slow speed until it comes together and is well mixed. Add the cream cheese all at once and beat on medium to medium-high until incorporated. Turn the mixer to medium-high and beat for 5 minutes, or until the frosting becomes light and fluffy. Do not over-beat as the frosting can quickly become runny. Great website and content too. Thank you for this useful article! I am COMPLETELY addicted to your site. Can’t wait to try this one next. Thank you Jen!!! Let me know how they turn out when you make them!!! Take pictures!